The Publix Center project consists of the redevelopment of an existing shopping center at the intersection of Folly Road and Grinball Road (Ft. Johnson Road) in the City of Charleston on James Island. 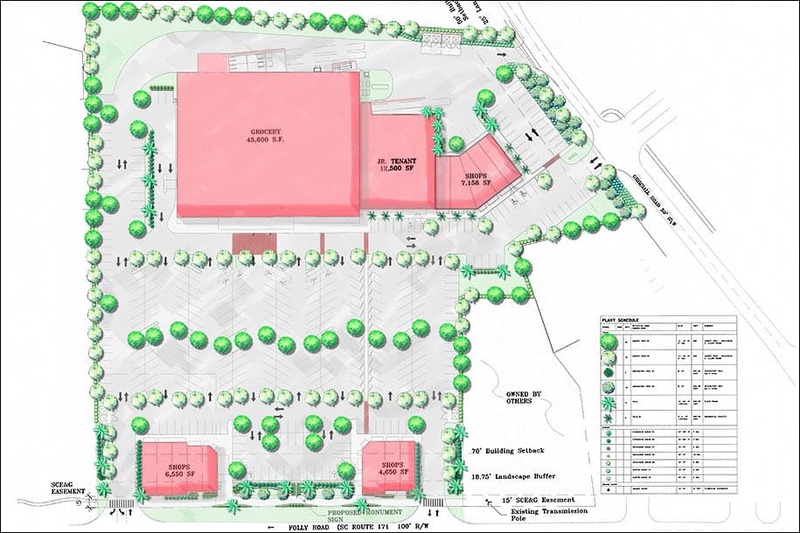 The existing center will be demolished and a new Publix Grocery, a junior tenant and multiple smaller tenant spaces will be developed for the larger building. Two out-parcel buildings will be constructed on the front portion of the site along Folly Road consisting of smaller tenant spaces. Hussey Gay Bell is providing civil engineering, landscape design, permitting and construction services for the project which is being developed by Belk Lucy. Redevelopment of an existing shopping center with Publix and junior merchants around.